In Pennsylvania, death-row prisoners whose convictions or death sentences are overturned in state or federal post-conviction appeals are almost never resentenced to death, a new Death Penalty Information Center study has revealed. 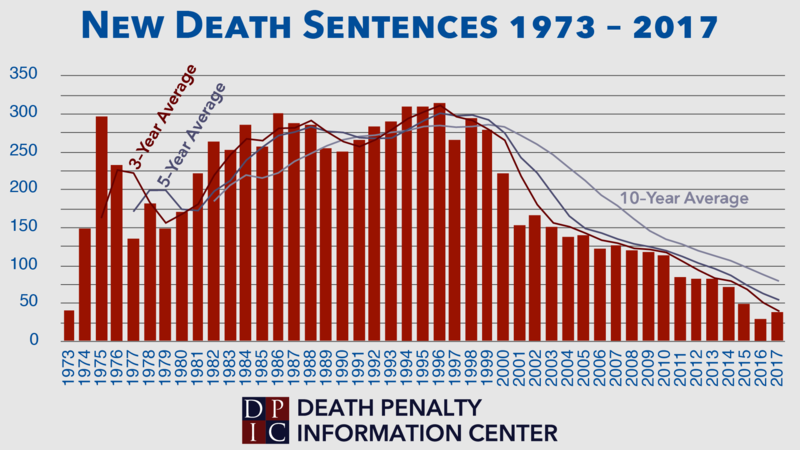 Since Pennsylvania adopted its current death-penalty statute in September 1978, post-conviction courts have reversed prisoners' capital convictions or death sentences in 170 cases. Defendants have faced capital retrials or resentencings in 137 of those cases, and 133 times—in more than 97% of the cases—they received non-capital dispositions ranging from life without parole to exoneration. Only four prisoners whose death sentences were reversed in post-conviction proceedings remain on death row. Philadelphia cases accounted for more than half of the post-conviction reversals (86 cases) and 54% of the non-capital case dispositions (72 cases). DPIC reviewed all of the cases in which Pennsylvania death-row prisoners have won post-conviction relief. Contrary to the often-expressed perception that most death-penalty reversals occur in federal courts, state courts reversed twice as many Pennsylvania capital convictions or death sentences as did their federal counterparts. Pennsylvania death-row prisoners obtained state post-conviction relief from their convictions or death sentences—and, in some instances, both—in 116 cases. State courts granted 18 post-conviction petitioners new trials and vacated 108 death sentences. Of the vacated sentences, the state courts granted 91 new sentencing hearings, and declared prisoners constitutionally ineligible for the death penalty in 17 cases. Life sentences were imposed in fifteen cases as a result of a prisoner's intellectual disability and in two cases because the prisoner had been younger than age 18 at the time of the offense. Federal courts granted Pennsylvania capital habeas corpus petitioners relief from their convictions and/or death sentences in 58 cases, awarding new trials in 24 cases and new sentencing hearings in 44. Three death-row prisoners who were granted penalty-phase relief in state court later overturned their convictions in federal court. One prisoner who was granted a new penalty-phase trial by the federal courts also overturned his conviction after the case was remanded back to the state courts. The DPIC study found that 86% of the reversed death-penalty cases concluded with a non-capital resentencing to life without parole. Those included 89 cases resulting from sentencing pleas or prosecutorial decisions to drop the death penalty, 12 capital sentencing retrials that resulted in life sentences, and the 17 cases in which defendants were declared constitutionally ineligible to face the death penalty. Two formerly death-sentenced prisoners—Nicholas Yarris and Harold Wilson—were exonerated, and a third, Frederick Thomas, died on death row while Philadelphia prosecutors appealed a trial judges' ruling that new evidence presented in the post-conviction proceedings established that no jury would have convicted him. Thirteen prisoners—including several widely considered to be innocent—pled guilty or no contest to lesser murder charges and were sentenced to time served or to terms of years. Six have completed their sentences and two others have been released on parole. The DPIC study found that the odds were 33.25 to 1 against a prisoner who won post-conviction relief remaining on death row. Six defendants were resentenced to death, but two of those death sentences were later overturned and the defendant resentenced to life without parole. The remaining four death sentences are still on appeal. Calling Pennsylvania's death-penalty system "riddled with flaws, ...error prone, expensive, and anything but infallible," Govenor Tom Wolf in February 2015 imposed a moratorium on executions in the Commonwealth. The state has not carried out an execution since 1999. A Utah judge has excoriated the Utah Department of Corrections for practices he called “sneaky” and “deceitful” and a state prosecutor has dropped the death penalty after learning that state prison officials had withheld nearly 1,600 pages of prison records from a defendant facing capital charges in a prison killing. Despite a court order to produce all prison records, the department had failed to disclose medical and mental health records detailing psychiatric medication Steven Douglas Crutcher (pictured, right) had been receiving in the months before he killed his prison cellmate. On March 28, 2018, following disclosure of the records, Sanpete County Attorney Kevin Daniels (pictured, left) withdrew the state’s notice to seek the death penalty and Judge Wallace Lee sentenced Crutcher to life. Preparing for an April 9 capital sentencing hearing, the defense learned in mid-February that the department had withheld medical and mental health records that Crutcher’s lawyer, Edward Brass, said “went to the heart” of the defense’s case. Brass alerted Daniels to the prison’s violation of the court order and Daniels, saying he was “irate” about the prison's misconduct, withdrew the death penalty from the case. “I hold myself to the highest ethical standard,” he said, “and any withholding of information is an affront to justice. The whole concept of justice is that you put all the evidence, all the cards on the table, and if you go where the evidence leads you, it’s a just result.” “This could have been a disaster,” Brass told reporters. “If it wasn’t for the integrity of the county attorney, it would have been a disaster.” Judge Lee said he was “beyond angry” over the department’s behavior. “This was totally wrong and makes me doubt the credibility of everything I hear about the Department of Corrections,” he said. In a statement, the department blamed its failure to produce the records on a “misinterpretation” of Judge Lee’s October order, but defense lawyers said medical doctors at the prison had been so difficult to work with that one doctor even refused to tell them what medical school he had attended. The judge questioned how the department could have misunderstood an order that had directed it to produce Crutcher’s “entire file,” including all mental health records. “That is something I would expect from Russia or North Korea, not a society like we have under the Constitution,” Lee said. “It’s got to stop. I’ve worried that if it’s happened in this case, it’s happening in other cases out there.” A prison spokesperson told the media that the department has retrained its clinical services records staff on responding to court orders and records requests and has started reviewing other cases to determine whether court orders had been responded to appropriately. Utah Association of Criminal Defense Lawyers executive director Stewart Gollan said the department also has been uncooperative in releasing prisoners’ medical records in civil rights cases. Two former Pennsylvania death-row prisoners, whose death sentences were overturned by federal courts after the United States Supreme Court had ruled against them, have been resentenced to life without parole. On February 28, 2018, Scott Blystone (pictured) was resentenced to life by the Fayette County Court of Common Pleas in southwestern Pennsylvania, 34 years after being sentenced to death and 27 years after the U.S. Supreme Court heard his case. Two days later, on March 2, Joseph Kindler was also resentenced to life after the Philadelphia District Attorney's Office agreed to drop the death penalty in his case. Nearly 35 years had passed since Kindler had been sentenced to death and eight since the Supreme Court had ruled against him. Blystone's case was the first from Pennsylvania to challenge the state's law requiring the jury to sentence a defendant to death if it finds any aggravating circumstance present, but no mitigating circumstances. Blystone had been represented by a part-time public defender who had been practicing law for less than a year and had never tried a homicide case. The lawyer presented no defense at the guilt stage of trial and had no evidence to present in the penalty phase except for testimony from Blystone's parents. When Blystone refused to have his parents take the stand to beg for his life, the lawyer presented no case in mitigation. Even then, the jury asked the court whether it had to impose the death penalty if it found no mitigating evidence. The court answered in the affirmative, and the jury sentenced Blystone to death. In 1990, a divided U.S. Supreme Court upheld Pennsylvania's death-penalty statute by a 5-4 vote. The federal district court subsequently overturned Blystone's death sentence because of his lawyer's failure to investigate and present mitigating evidence of Blystone's brain damage, mental health diagnoses, and extreme mental and emotional disturbance at the time of the murder. Kindler also overturned his death sentence in the federal courts, after the Pennsylvania state courts had refused to consider Kindler's constitutional challenges to his conviction and sentence because he had escaped to Canada. The federal courts found multiple constitutional violations in Kindler's case, including that his lawyer had failed to investigate and present available mitigating evidence and that the jury had been given an instruction that unconstitutionally limited its ability to consider the mitigating evidence that had been presented. In a unanimous U.S. Supreme Court decision in 2009 dealing with federal review of state procedural rules, the Court overturned the grant of a new penalty hearing and sent the case back to the federal court of appeals. The appeals court again ruled in Kindler's favor, and this time the Supreme Court let that decision stand. 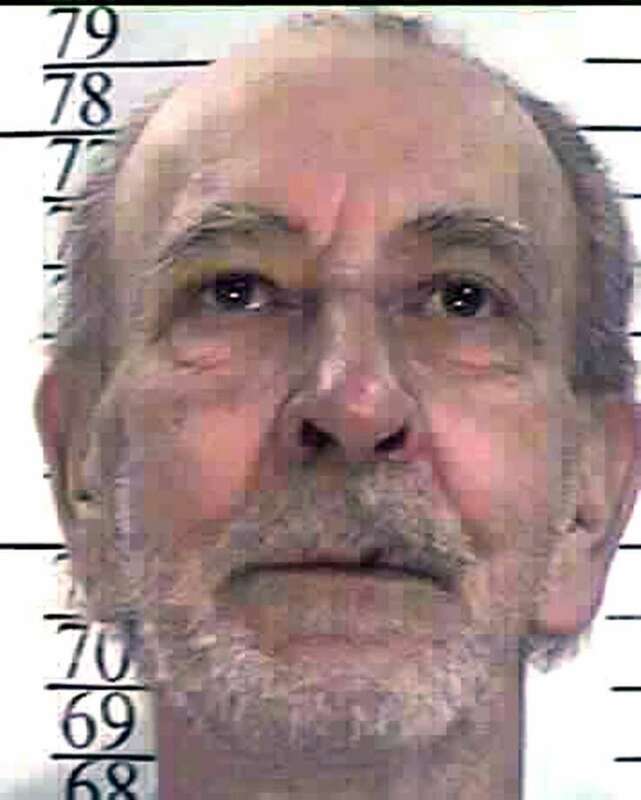 Raymond Wallace Shuman (pictured), whose case led to a 1987 U.S. Supreme Court decision affirming the unconstitutionality of mandatory death sentences, has died in a Nevada prison at age 83. Shuman, one of the longest-incarcerated prisoners in Nevada history, was serving a life sentence for a 1958 murder when he was convicted of killing a fellow prisoner in 1973. At that time, Nevada law mandated the death penalty for life-sentenced prisoners convicted of another first-degree murder. Then, in 1976, the U.S. Supreme Court issued a series of decisions upholding the constitutionality of capital punishment, but overturning mandatory death-penalty statutes in North Carolina and Louisiana. The 1976 cases established an individualized-sentencing requirement pursuant to which no one could be sentenced to death without first having the opportunity to present reasons to spare his or her life. Shortly thereafter, Nevada repealed its mandatory death sentencing law. Shuman, who was the first prisoner to face execution in Nevada after the 1976 rulings, challenged the constitutionality of his sentence as violating the Eighth and Fourteenth Amendments. The Nevada Supreme Court upheld Shuman's death sentence. Shuman's lawyers then presented the issue to the Nevada federal courts, which declared the state's mandatory capital-punishment statute unconstitutional. The prosecution appealed, arguing that the Supreme Court's 1976 decisions had left open the question of whether the death penalty could be mandated in certain extremely narrow classes of cases such as prison killings by life-sentenced prisoners. 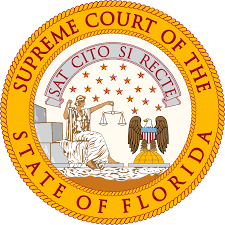 The U.S. Supreme Court agreed to review the case and, in a 6-3 ruling in Sumner v. Shuman, issued on June 22, 1987, the Court declared the statute unconstitutional. In his opinion for the Court, Justice Harry Blackmun wrote: "Although a sentencing authority may decide that a sanction less than death is not appropriate in a particular case, the fundamental respect for humanity underlying the Eighth Amendment requires that the defendant be able to present any relevant mitigating evidence that could justify a lesser sentence." That evidence included the nature of the defendant's prior conviction—Blackmun noted that Shuman had not been the triggerman in the 1958 murder—the defendant's background, life history, upbringing, and mental health, and any mitigating aspect of the circumstances of the offense. Shuman died around 2:25 p.m. on February 4 at the Carson Tahoe Regional Medical Center in Carson City, according to the Nevada Department of Corrections.